Let’s return, this time out, to a topic that should’ve received wider play than it did. A couple of weeks ago, Hungary’s Ministry of Justice extended its virtual middle finger to the CJEU over an apparent violation of EU trade rules regarding online gambling. We already knew that the European Union is a toothless beast regarding gambling matters in general, and the EU has already given up its not-so-good-fight regarding its policing of border-crossing online gambling matters. 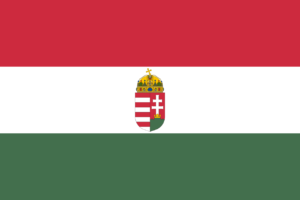 More specifically, Hungary’s Ministry of Justice has announced its intent to defy a European Court ruling that the country’s awarding of licenses only to those firms which also have a land-based gambling operations license in Hungary is a violation of EU trade law. This one’s an interesting case, and it involves another step down that dreaded “slippery slope” argument regarding the attacks against cross-border online gambling services. (We hate slippery-slope arguments in general, but this one is rather more obvious and less absurdist than most.) The case involves a Hungary-facing online sportsbook, Sporting Odds Ltd., which operates only online, had no interest in opening land-based betting shops in Hungary, and thus ended up having ts online site blacklisted by Hungarian ISPs at the order of the country’s authorities. The defiant statement issued by Hungary’s justice ministry correctly noted that Sporting Odds Ltd hasn’t paid any Hungarian taxes, but rather conveniently omitted that Hungary hasn’t created a licensing and tax regime to collect from the online sector. Instead, the ministry took the opportunity to demonize the online-gambling industry in general. The uncontrolled and mostly illegal gaming industry caused financial damage to the Hungarian State by billions of dollars before 2010. In the formerly completely black and opaque gaming industry, state control has grown considerably since the new rules, and the risk of gambling addiction has diminished since the industry and slot machines have closed down. 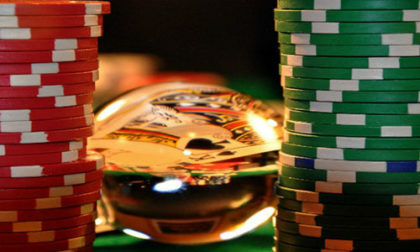 Nowadays, only a few casinos can operate in the country and have made much more stricter and more effective action against banned online gambling sites, which do not pay a one-pound tax on their income and revenue in their country and are unavailable to money laundering and counter-terrorism authorities. Illegal online gambling organizers must also count on a higher fine and financial blocking of their bank account. The Hungarian State continues to use all available criminal and administrative law instruments against gambling organizers who illegally engage in such activities without a valid license and thus cause a significant loss of revenue to the Hungarian budget. In this context, taking into account the judgments of the European Court of Justice, the unlawfulness of the Internet content making illegal gambling organization continues and the proposal to block financial payments and payments related to illegal gambling is being prepared. There’s a whole lot of demonization of the online sector going on in those two paragraphs, but once you’ve worked through the Google-mashing, it’s clear that Hungary is flying the bird in the general direction of Brussels. The Sporting Odds Ltd. site? It will continue to be blocked. And additional blocking mechanism designed to cripple any backdoor, third-party payment processing will also be deployed. Sporting Odds Ltd., doesn’t appear to be a major player, but that’s hardly the point. It’s registered in London, and some of its online linkage suggests a relationship with Sportingbet (and thus on to GVC), but we can’t say that for sure. What the company is, however, is the sort of smaller operation that is most likely to find complaints about unfair trade practices falling on deaf ears. Online gambling faces increasing roadblocks and hurdles being erected by governments across Europe. Larger online operators are well positioned to adapt into what’s coming — an increasingly (and to an extent, artifically) regulated quiltwork of gambling regimes spread across to the EU. For this sector of trade, of course, the EU need no longer exist. And all that looming infrastructure will fall heaviest on the startups and smaller operators.